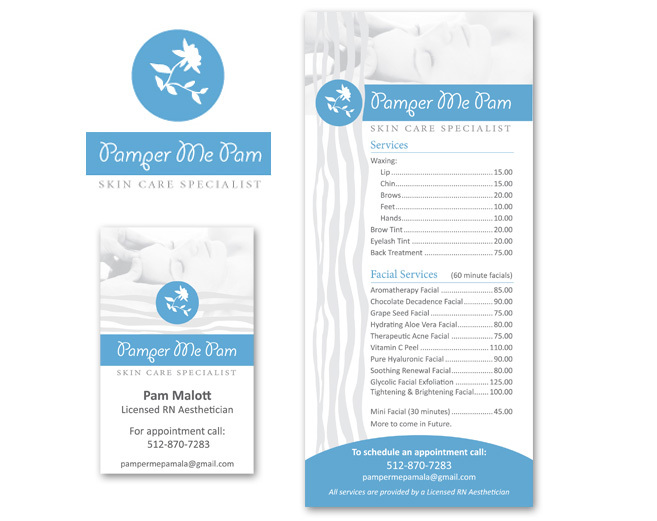 Helped skin care specialist, Pamper Me Pam, develop their business identity. Developed business name, logo design, business card and price list for services. Business is located in Austin, Texas. All work was done through emails and phone conversations.